Our last few days before packing up to go to South America for 6 weeks - just Bolivia and Ecuador, but think of the birds - - - -! Some good 'wet season' rain at last in Daintree this week and the sun is out again, so the wonderful butterflies, frogs and birds all appear. It has been fabulous. Little Kingfisher and Azure Kingfisher on the now-full pond at Red Mill House. Pied Monarch, Buff-breasted Paradise Kingfisher and Double-eyed Fig-Parrot also in the garden. White-browed Robin (a newy for us) at the end of Stewart Creek Rd. Papuan Frogmouth and Barn Owl feeding at night along Stewart Creek Rd. Unfortunately Ellen Terrell also picked up a dead Sooty Owl from the road at Wonga. Pink-eared Duck at the Barra Farm at Wonga. Wompoo Fruit-Dove nesting again near the Ergon Track on Stewart Creek Rd. 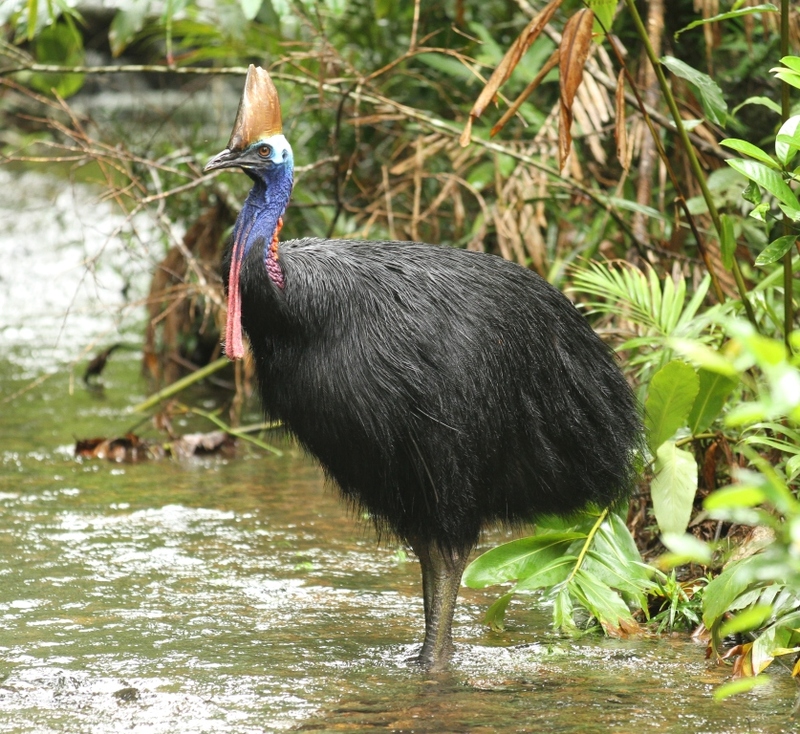 Victoria's Riflebird, Nankeen Night-Heron and Great-billed Heron all spotted on the Daintree River this afternoon. An amazing sight this afternoon as we drifted into the bywash to watch a Great-billed Heron perched up high and calling for 10 minutes. Neck stretching upward and outward then distending as the deep, throaty booming is emitted. Extraordinary!! This is when you wish you had a good camera. All the good wet season birds (and frogs!) are very active - Red-necked Crake, Pale-vented Bushhen, Black-necked Stork, Little Kingfisher, Azure Kingfisher - just to name a few. Great views of Southern Cassoawary near Maardja Boardwalk yesterday morning. What a beautiful bird!! We're off for a few weeks, but will do quick update in mid-May.